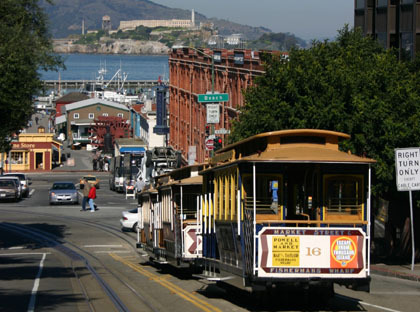 San Francisco is the 13th most populus city in the United States and has a population of a little over 800,000 people.The only consolidated city-county in California, it encompasses a land area of 46.7 square miles (121 km2) on the northern end of the San Francisco Peninsula, giving it a density of 17,243 people per square mile (6,655/km2). 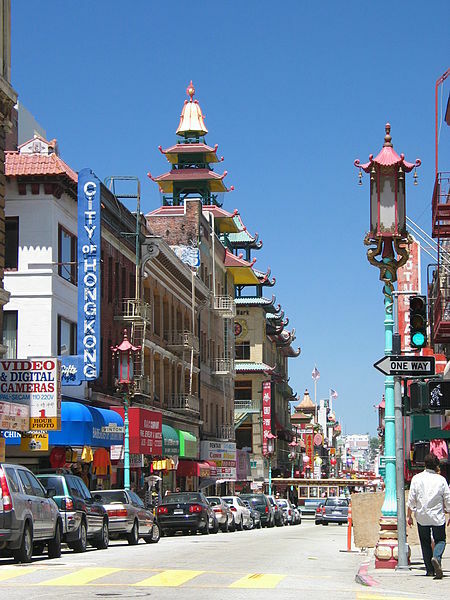 It is the most densely settled large city (population greater than 200,000) in the state of California and the second-most densely populated large city in the United States. Today, San Francisco is a popular international tourist destination, renowned for its chilly summer fog, steep rolling hills, eclectic mix of Victorian and modern architecture and its famous landmarks, including the Golden Gate Bridge, Cable Cars, and China Town. I'm leaving for San Francisco tomorrow for a week and I am supeerrrrr excited! I plan on shopping till I drop, eating some of the best seafood/food San Francisco has to offer and exploring every inch of the city until I can explore no more! 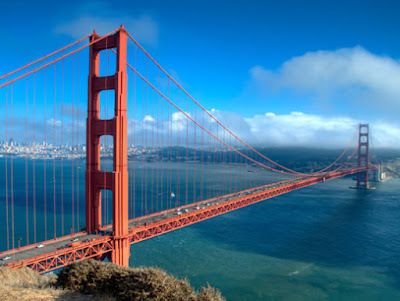 San Francisco is not your typical California weather because the weather is mild year round with temperature seldom rising over 21 degree celsius or falling below 5 degree celsius. >>>Catching a cable car to get around the city. >>> Head out an hour North of the city to Napa Valley for a winery tour and wine tasting. >>> Go to a baseball game. >>>Take a day trip to Alcaltraz Island. >>>Spend a day relaxing at Baker Beach. >>>Spend an afternoon tasting all the delicious fresh food at the Ferry Building Marketplace. >>> Shop at all the beautiful Vintage clothing stores and most importantly explore all the high end clothing stores in Union Square where my hotel is located. >>>Eat at some of the best restaurants in the city. Honestly, there is so much to do and spending a week there might not be enough time, but I plan on doing as much as I can. I'll be sure to give you all a full account of my trip and post pictures when I return.